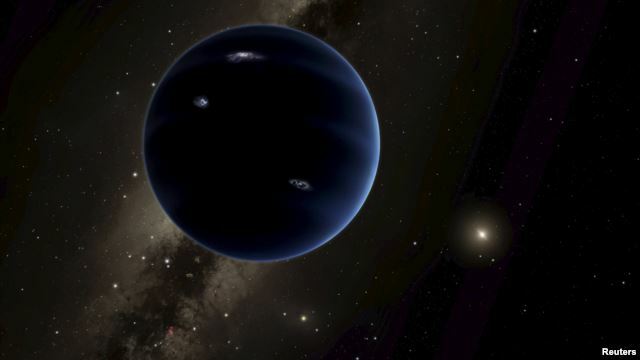 One of the scientists responsible for the demotion of Pluto and is no longer considered a planet in our solar system, may have found a replacement for the planet. Two astronomers from the California Institute of Technology, Mike Brown and Konstantin Batygin have arranged a series of numbers and say they believe you have discovered a giant planet that is located too far away to be reached by the Sun's gravity. Scientists say they have not seen the planet but it has been found that there is something they call "an eccentric distant planet" now promotes small group of objects in the solar system. The scientists know - from the effects of gravity - the planet is very large, at least 10 times larger than the earth, or almost as big as Neptune.